Dark forces seep into the enchanted forest. This awakes the mythical creatures, some cast their spells for protection, others attack with their magic while some succumb to the evil temptation. This may sound like a scene from Harry Potter, but it’s actually the story for a conservation education course that equips conservationists to handle real-world environmental challenges. 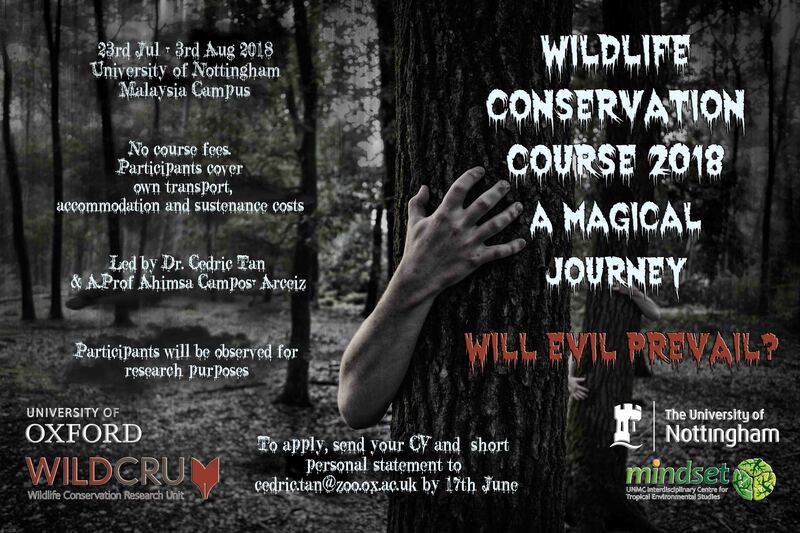 Devised and directed by University of Oxford WildCRU Lecturer and Researcher Cedric Tan, ‘Wildlife Conservation Course 2018 – A Magical Journey’ will use team activities to immerse students into scenarios that engage the mind and develop research, analytical and communication skills. The 2015 course was themed around a role-playing game – participants competed in ecological challenges for cards that would give them a better chance in a final battle against their tough opponents. In the 2016 Murder Mystery edition, contestants earned clues with each module to help them solve a tiger murder that could be due to one of a number of real-world causes of species extinction (poaching, habitat destruction, etc). In 2017, players gain superpowers to help them collaboratively save the carnivores in distress. 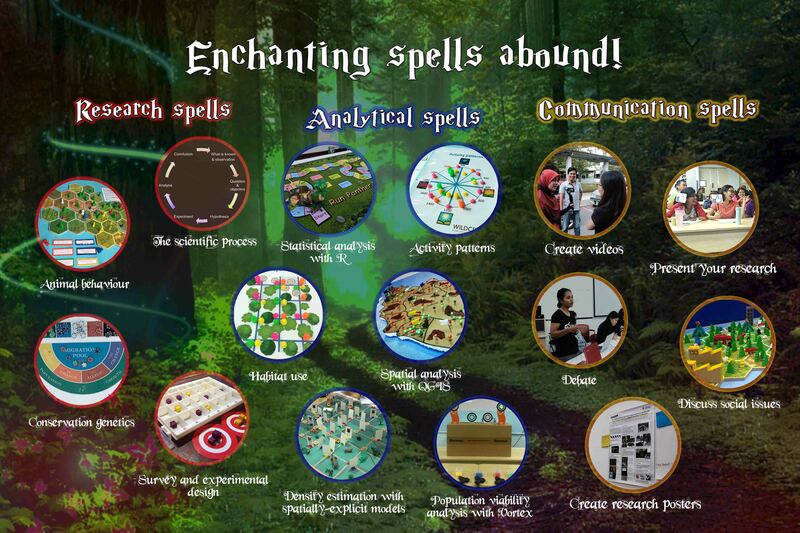 This year, mythical creatures in training will learn spells, solve mysteries and defy curses. Will they emerge a powerful wizard succumbed to dark forces or be the undead with compassion? The challenges played embed environmental issues. An example would be the ‘camera trap game.’ where students are conservation teams deploying camera traps to detect the clouded leopard and producing the best estimate of its density. How the teams deploy their cameras will affect the reliability of their estimates, just like in real-world research. Spanning 12 days, the course will utilise a myriad of teaching methods, from games and theatre, to eLearning and videos, all working together to impart a body of knowledge, preparing contestants to look at conservation from an all-rounded big picture perspective. Beyond functioning as teaching tools, these games are also educational experiments. 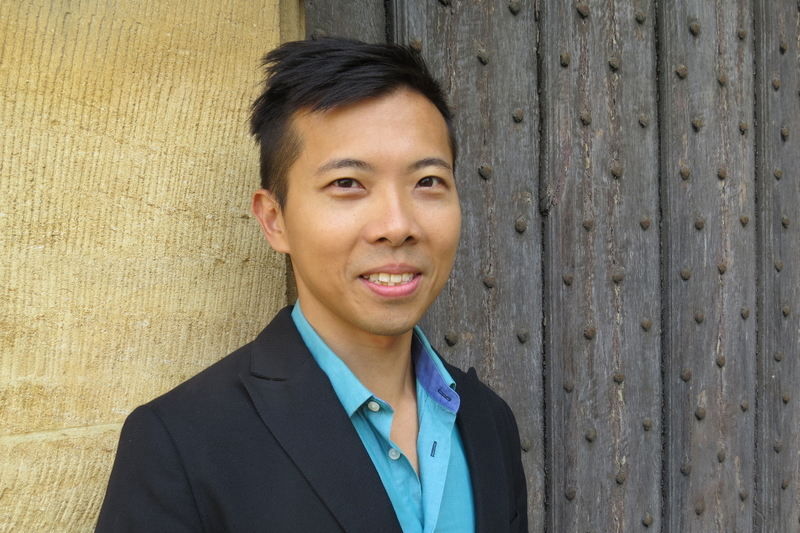 In collaboration with Associate Professor Ahimsa Campos-Arceiz and Dr. Jiin Woei Lee from the University of Nottingham Malaysia campus, Cedric’s research team has recorded behaviour, grouped students into teams based on their personality types, and observed the details of interaction and effectiveness of the course. The findings will help create education that truly inspires. Their paper on the effects of games has recently been published. They have also created a short video to showcase this research. Cedric is also directing a workshop in Borneo this June on innovating education with games, educational videos, theatre and eLearning.